As the final part of the Ubuntu App Showdown, we're organizing a second round of voting where any community member can rate and vouch for their favourite apps in the contest. This also means that app authors have yet another chance of getting prizes: the 3 winners with highest-rated apps will take a Nokia N9 smartphone home each! You might also want to address the feedback judges left for your app during the jury vote. These are the apps that are up for the Community Vote. Copying and pasting the relevant command line on the INSTALLATION column for the app you want to install and pressing Enter. Once installed and tested, you're ready to start voting! Armorforge is a graphical user interface which allows to configure complex Apparmor-profiles and start them directly into AppArmor. It contains all needed sections that are nessassary to use most of the apparmor features. Armorforge also helps preventing some mistakes while creating (e.g. incombinable permission settings) Available sections are abstracts, capabilities, networking and filesystemaccess. Circle, An application for file management. It groups the files of a messy folder into relevant sub-directories. Supports popular document, music, image, video types. Cuckoo is a simple alarm application designed with Ubuntu in mind. Desktop client for MediaWiki sites. Dimension Calculator. A simple lightweight web development tool for quickly calculating dimensions when resizing an image or iframe rectangle. DoStuff is a simple ToDo manager. It is as simple as writing a text file because it wraps the excellent "todo.txt" piece of awesomeness by Gina Trapani. 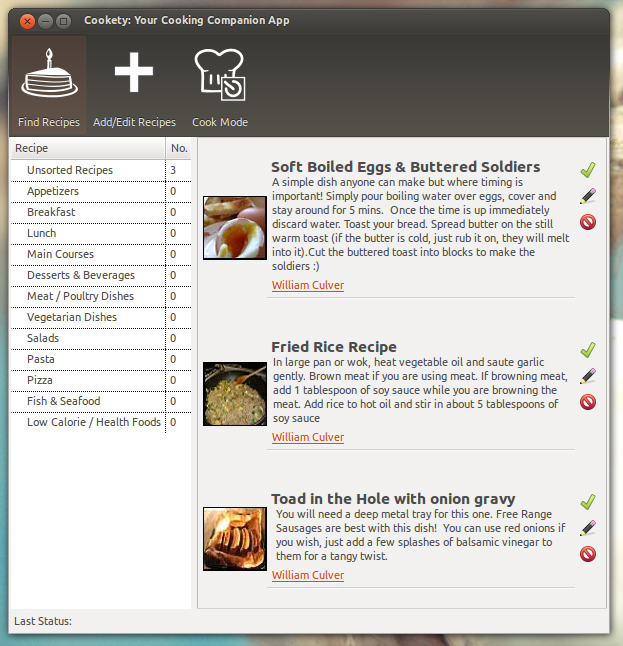 The interface has the basic functionality to add, edit, complete or delete a single task. Monitors your network usage. It's specifically designed for helping to keep within usage caps imposed by some ISPs. You can set monthly quotas and Download Monitor will help you to keep within these quotas. Usage information can be viewed as detailed bar charts, as a textual overview or as simple totals by right clicking the launcher icon. You can also see, at a glance, what percentage of your usage quota you are at via the launcher progress bar. Download Monitor updates automatically (but not quite in real time) and continues to monitor (via the vnstat daemon) when it is closed. Lets say you want to save paper when printing a document. To do so, you can print on both sides of a page or print multiple pages on each side of the sheet, like handouts. Most printers and printer dialogues don't offer an easy way to do these two simple tasks, that's where dualPrint comes in. FlashGen is an application for creating CSV and TSV files of Japanese terms and their respective readings and definitions for use in flashcard applications. Format Junkie is a fully-featured media converter. It is able to convert your audio, video and image files to all the popular formats. Also, it comes with a nice and simple user interface! A desktop application to browser all of the issues from Full Circle Magazine. A music folder organiser. Reads ID3 tags of mp3 files to enable you to organise your music folder. HumanTask is a task manager for humans. HumanTask is minimalist and the user experience has been crafted for simplicity and ease-of-use. Ubuntu is Linux but Ubuntu is human. Indicator Remindor is an indicator app that allows you to schedule reminders (or alarms). An alarm can be configured to show a notification, play a sound, and/or run a command. Alarms can be scheduled on one day or they can be set to repeat every day, every monday, every 30 days, etc. 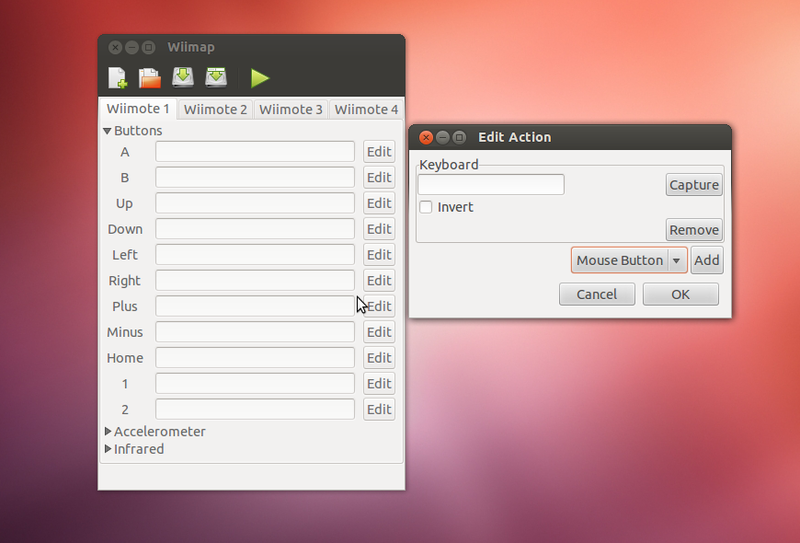 Ivolution is a GTK interface built on top of the FaceMovie project. It was designed for helping Ubuntu users to use FaceMovie. 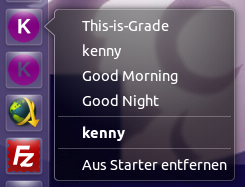 kenny is a light-weight editor to create application launcher scripts. It's integrated in unity and in the indicator bar. Quantify your influence on the Internet with the social ranking system Klout. Labtools is software is developed to facilitate the daily work in a molecular biology laboratory. It includes three small tools that can make scientists life easier. The software is aimed to be used on the lab bench, for instance on a tablet or smart phone running Ubuntu OS in the future. Mass Renamer is a simple GTK application that let you rename a batch of files with some common keywords to an unique name convention, with optional numbering. Mass Renamer supports files with one or two indexing, and is suitable to rename TV show episodes or music tracks. There is a realtime preview of the result of the operation while you change keywords and patterns. My Shortcuts provides a quick and easy method to launch my most commonly opened websites and applications from a visually pleasing user interface. The shortcuts include everything from Planet Ubuntu to Rhythmbox. Do you know how your favorite song looks like? With Nulloy Music Player you can see the music! OrthCal is an Eastern Orthodox Calendar, showing the Feasts of the day both in the Julian (Old) calendar and the Revised Julian (New) calendar. It also comes with other tools, such as Feast finder and Pascha calculator. OrthCal can prove to be very useful for Eastern Orthodox users. helps you generate secure passwords and remember them! Picsaw the jigsaw puzzle game that uses your photos for puzzles. Postman is a utility program to batch upload images to popular websites or services. This is done through a simple and modern intuitive user interface. Drag stamps to mark destinations, and drag images to select content. Currently Flickr, Ubuntu One, Google+ and Picasa are supported. Visit the website for more information. A simple program for controlling playback of an audio file using a USB footpedal (or the mouse). The sonic library is used to allow you to slow down speech to as low as 20% of the original speed. rapit-get (an apt-get alternative) increases package installation speed by parallelizing downloading with removing, installing and upgrading of packages. Please visit also https://launchpad.net/rapit-get. Reddit client for the Ubuntu desktop. Dual-pane file manager for Ubuntu. See https://github.com/Riateche/ridual for more information. The program analyzes the histogram of the image and tries to set the most optimal black and white point of the image. Removes the veiled effect caused by the shifted colors, adjusts the color balance and saturation, and corrects the gamma factor. Allows you to view and edit digital business cards with a UI resembling a trading cards. You can export your card as a vCards, QR code or HTML document. Open bookmarks directly from your desktop with an indicator and quicklist! 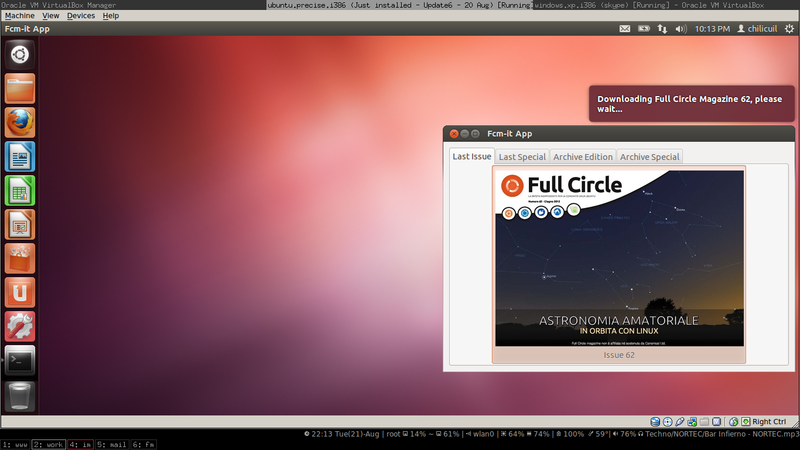 A great wallpaper changer, downloader and manager for Ubuntu, Xubuntu, Lubuntu, Mint. Supports downloading from Flickr, Wallbase.cc, Wallpapers.net, NASA APOD and others. 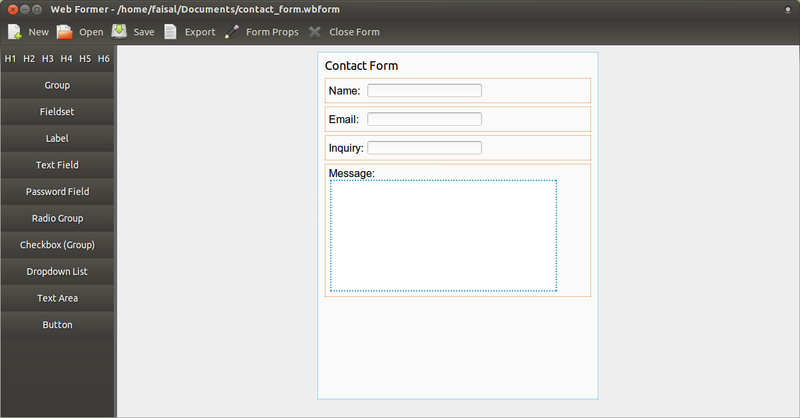 Web Form-er is a visual html form builder with the goal to make it easy to structure, edit and reconfigure, and export your forms into nice html snippets for copying and pasting. Wiimap is a simple GUI for mapping inputs from a Wii remote such as button presses and accelerometer changes to inputs that can be used in applications such as keyboard presses, mouse movements and mouse button clicks.